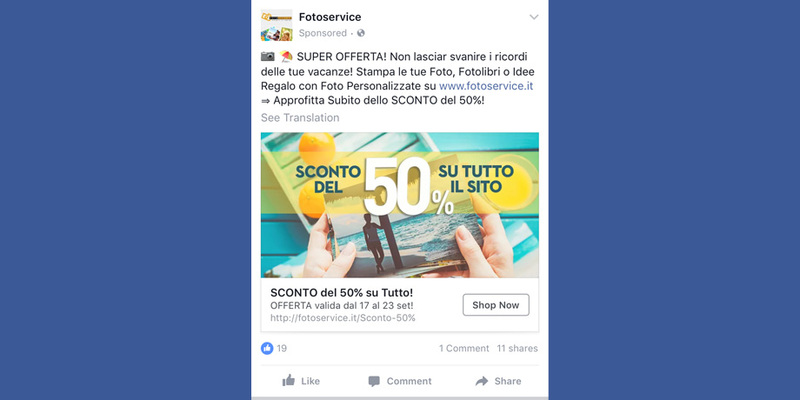 Online advertising solutions, combined with a results measurement system and SEO optimization, help Fotoservice to be known by a wide audience on Google and Facebook and to establish itself as a reference e-commerce for online digital printing in Italy. On Fotoservice.it you can turn your digital shots into real photos, in an exciting book of memories, or in a nice personalized gadget with pictures to give as gifts or wear. Receive the product at home or pick it up at one of the thousands of delivery points throughout Italy. Fotoservice wishes to differentiate itself from online competitors through the contents of the company’s blog created with the aim of entertaining and providing ideas to the target segment on how to use the products. The company wanted to use Facebook Ads and Google Remarketing to be reached by photography enthusiasts, acquire new subscribers to the Newsletter and increase online purchase conversions. At the base of the digital marketing strategy adopted by Fotoservice there is the implementation of a Web Analytics system that provides a punctual measurement of the return on the online investment. 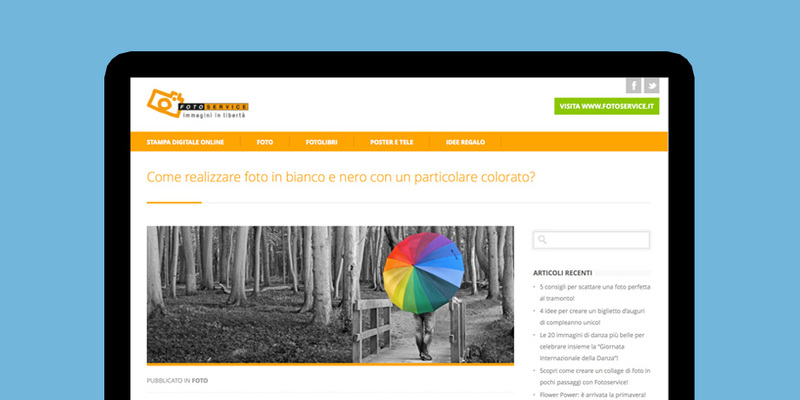 Thanks to Google AdWords Remarketing campaigns aligned with the commercial strategy, Fotoservice manages to reach and involve thousands of new Italian users every day. Contents to educate and entertain. Also on social media. The blog’s contents, which is also shared on Fotoservice’s social channels, aims at sensitizing the target audience on the importance of printing photos and on the beauty and originality of personalized photographic products that can be realized on Fotoservice or via the Android or iOS app for smartphones. Campaigns for installing the Android and iOS app for smartphones: artificial intelligence at the service of business. 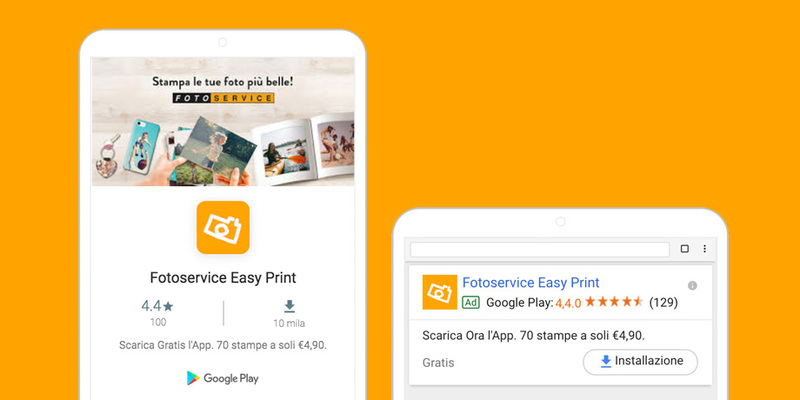 “Fotoservice Easy Print” is the app that allows to quickly and easily print pictures directly from a smartphone. Fotoservice was able to obtain in a short time and with targeted investments a large number of customers who now use the app to create and purchase their products: all this was achievable thanks to optimized advertisements for the installations of the app and thanks to Google AdWords Universal campaigns, based on sophisticated machine learning technologies and Google artificial intelligence.